Click on the thumbnail at right to see some more pictures of shipboard life. 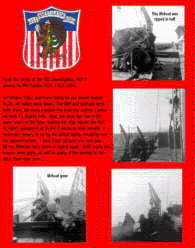 Below are two pages of photos I took during a highline operation between the USS Investigator and the USS Guardian, AGR-1, a sister ship based in Davisville RD. Click on the thumbs to view. During a picket in October 1963, hurricane Ginny hit our picket station. All radar and communications were shut down. Winds reached 95 mph. All our lifeboats were gone or ripped apart. The weather decks suffered quite a bit of damage. Click on the thumbnail to right to view pictures. Ship's parties were held and Christmas celebrated at sea. During 1963, the Investigator spent Christmas at sea. Click on the thumbnail at left to view pictures. During one of our pickets in 1964, a ship's party called a smoker was held. We had sport competitions, topside barbeque, and topside movies. The party continued at night in the mess deck, with skits, music and good food. Click on the thumbnail at righ to view pictures. The ship's captain, Lieutenant Commander H.L. 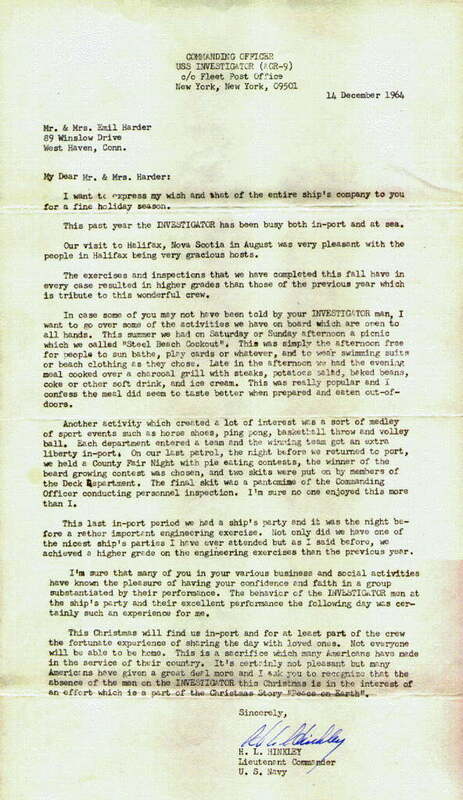 Hinkley, corrresponded with the families of crew members, keeping them informed of the ship's and crew's activities. Click on the thumbnails to read these letters. 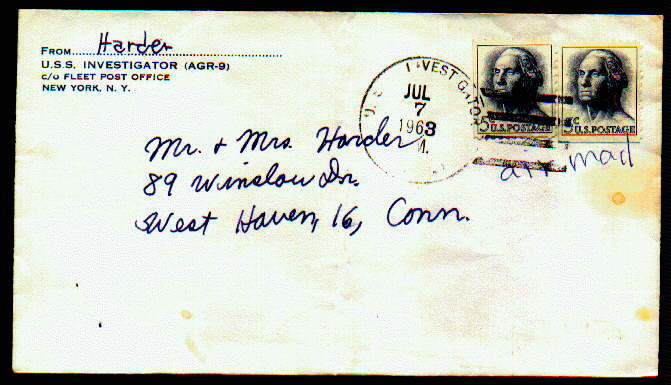 I have one from11/7/63, shortly after he took command of the Investigator. 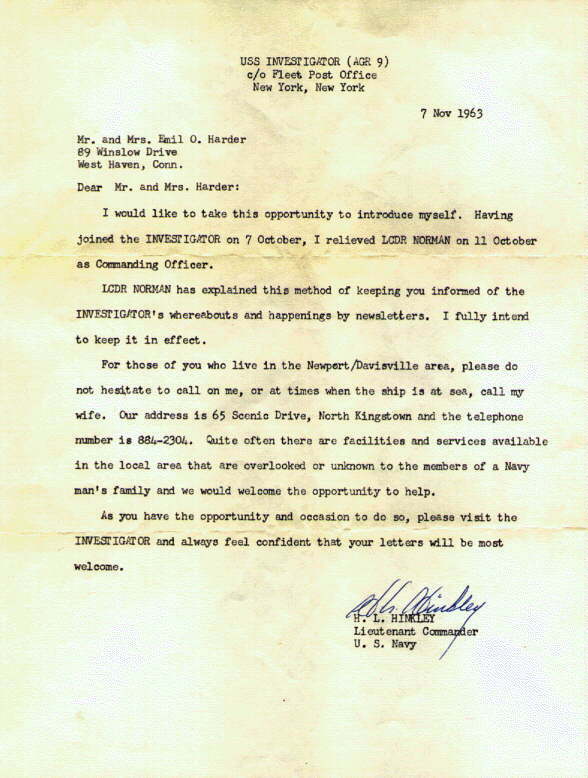 The letter dated 12/20/63 reports on our brush with hurricane Ginny. 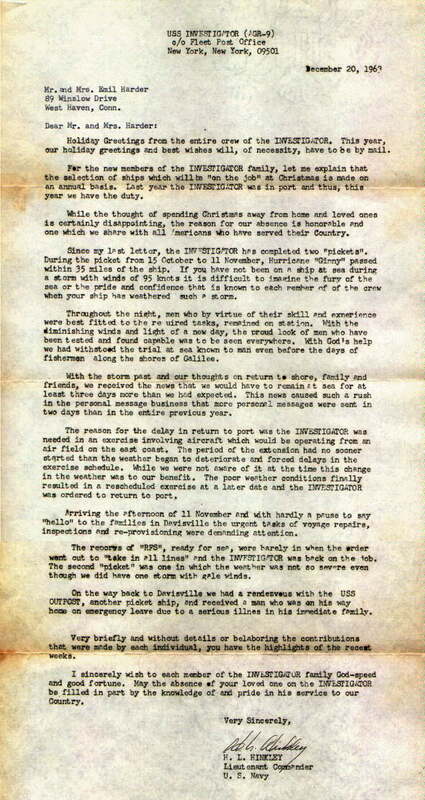 The 12/14/64 letter describes the Investigaror's visit to Halifax, and the ship's party, photos above.